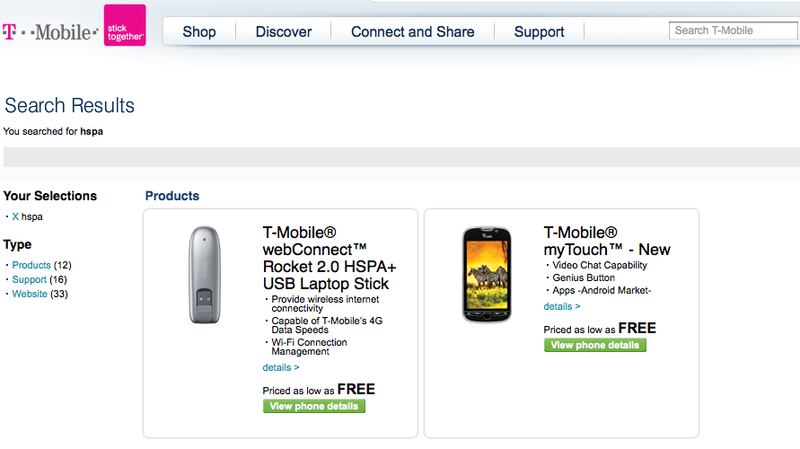 You are here: Home > (UPDATED, Again) T-Mobile Confirms MyTouch HD? Want to see something interesting? Well, of course you do! 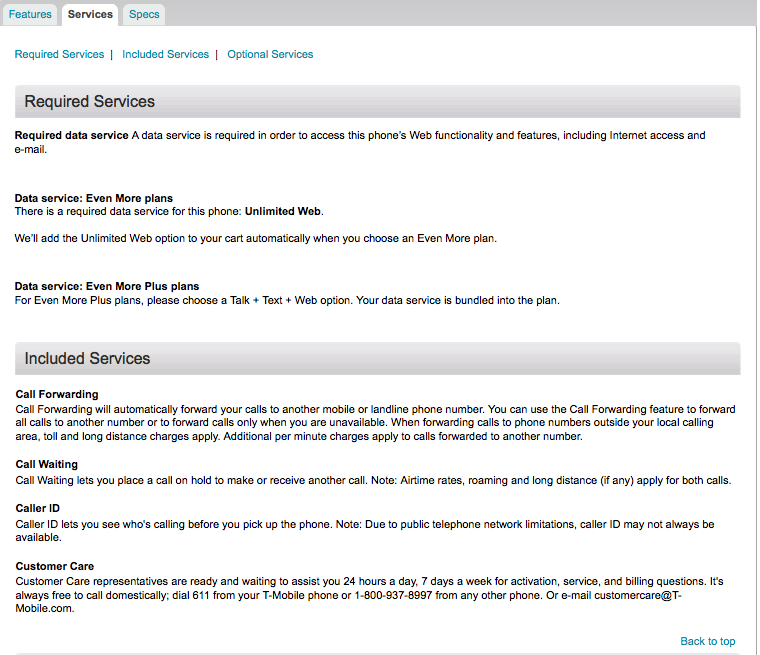 If you have the time, you should search “HSPA” on the T-Mobile site. If you don’t have the time, just look above. What comes up is a nifty image of the MyTouch HD (well that looks familiar), or whatever the final name ends up being (since it only says MyTouch above). 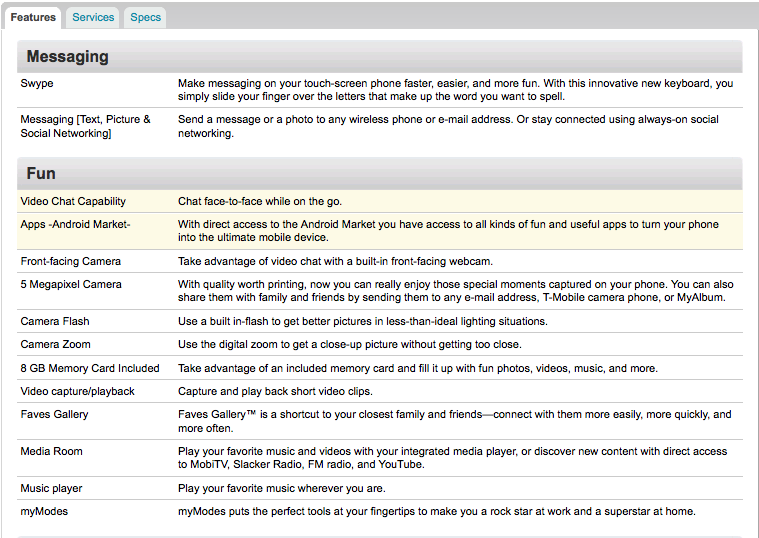 It looks like Android, the Genius Button, HSPA+ connectivity and Video Chat capabilities are confirmed for the low low price of free (that’s what it says at least)?. Pretty nifty, eh? I think we need to wait and see how this phone’s story unfolds. We will make sure to keep you posted. UPDATE: Someone dug a little deeper and found some pictures of the MyTouch HD. 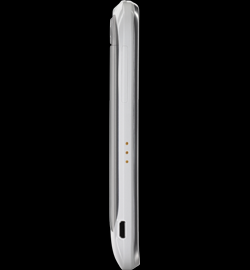 It looks like you’ll find some pretty standard stuff on this phone (3.5 mm headphone jack up top, dedicated camera key on the right, micro-USB port on the left, along with a speaker and camera with LED flash around back). Something tells me that this story is over yet. Keep an eye out folks! I seriously doubt it’d be free but I won’t complain if it is. In fact I’ll take 5 at that price. It says free because the pricing has not been set yet. Just like the vibrant said free on a t-mobile site before it and pricing was released. You can bet the phone will not be free. Just wait for the htc glacier on t-mobile. It’ll be the fastest phone to ever have been released. Is the glacier real or legend ? somebody is gonna get fired. Nice! Looks like 4Q on TMobile is looking pretty good. I remember when the 1st Gen Mytouch 3g came out on Aug. 5th,2009…i went to my local store and picked one up. I wasnt eligible for an upgrade and was goimg to pay retail of $399.99 that was listed. While I was being rung up at the register the phone actually listed for $499.99 so they had to give it to me for $399.99. While I was there they did end up changing the price….AHHH gotta love it when a mistake ends up well in your favor. Maybe they’ll make the same mistake with MTHD, I will let yoiu guys know. This reminds me of when I worked at Target and did presentation. We were taking down the isles, setting them back up, you know the whole waste of time. And when we were putting up the long price tags, frosted cheerios was marked for 28 cents. So after we scanned the isles into the system, it really came up 28 cents. So me and the 3 other guys doing presentation bought all the boxes of frosted cheerios, and even took them from the backstock room. We cleared out Target of frosted cheerios. I’m sure you can’t stand the sight of Frosted cheerios now, huh? Used to happen at my Wal-mart store when I worked there. Managers would make random pricing errors (on purpose of course). Employees would find out, and next thing you know, all the Kellogs cereal is sold out to employees. Even worse. The meat department manager ran a charity on the side so he’d mark down all the meat to like 99 cents the day before it was to expire and buy a bunch to take to the needy (they were throwing it out the next day anyway). If you were there in time to notice, you got dirt cheap meat. Of course he got canned for it eventually, even though it was a good cause. Wal-mart would rather throw the meat away so they can write it off on their insurance than let it go to the needy. Oh cool, the Rocket 2.0 is free now. Finally, more information! But I’m concerned, if it ends up being free, why? Why wouldn’t it be $199 like the other smartphones? Its not going to be free. Stop thinking that it will. G2 is on the way. My touch hd should be good. But I’m sure people will find a way to call it a fail. Well, no matter how great a phone is, people will find some tiny thing wrong with it. True some tech-nerds are already complaining the MTHD is made of plastic…aren’t 95% of all smartphones plastic? So, that is indeed what it will look like. engadget released leaked shots on the mytouch hd.. man it is such an ugly phone. looks like cheap plastic. Sorry this phone looks CHEAP, Good to see someone other than Sprint and ATT with an FFC. I am sure it will end up being $199.99 with a two year contract. waiting for wednesday to get my g2! Pre-order late October. Phone releases to the general public several days earlier than November 3. Phone falls apart first week of November. New phone is announced second week of November. Early adopters don’t receive their phones until mid November due to UPS delays and T-Mo ordering snafus. Anyone see a pattern here? Forgive me if I’m wrong, but it’s starting to look like our dear T-Mobile is starting an uphill climb. I mean engadget just reported that Windows Phone 7 launch is on the 11th and T-Mobile is the star of the party, not AT&T. We have the fastest network in the industry (for now), our brand new G2 is ruling blogs everywhere, our once hated 800Mhz processor beats the mighty Nexus one’s 1Ghz processor, our holiday line-up is looking good, I see more T-Mobile ads on TV these days, and our customers are happy because those everyone is getting what they want. Stock Android for those who want stock, Espresso for those who love sense, myTouch HD for those who want a phone with ffc, and HTC HD3/7 for those who want a huge screen. Everyone will be happy this holiday season, thanks to our dear Magenta. We’ve made Sprint and AT&T not relevant again. I don’t know who this new CEO is, but I’m starting to like him a lot more. Yeah this is a go. I just got off the phone with a representative and they said that I might want to wait for this phone. It truly looks like a nice phone. Nice phone…I’d like to test drive it at a store when it comes out. I still don’t think I’ll be purchasing though. I’m waiting for this phone instead of the G2. Looks like a solid device. Holy crap, it comes with WIFI calling. What more can a nerd wish for? I still believe some jerk living in his mom’s basement will have the nerves to call this a fail. Gee, I still can’t decide between the G2 and the myTouch HD. It’s starting to drive me crazy because I’m normally a very decisive person. Zomg, wherz teh duul processorz? It donteven whey as much like G2, FAILLLLL~!! *ahem* Sorry, I had a moment there. While my nicely discounted G2 is finally on the way, I do have to say this MyTouch is a welcome addition to T-Mobile’s line up. Wifi Calling and cellular video chat are both something no other carrier is willing to offer right now. I am curious why you didn’t click on “details >” to get more details, lol. It is going to be a 1 ghz, 8 GB, HD cam etc. – pretty standard, as you said. Only real new thing here is a front-facing camera. Not a dual core? 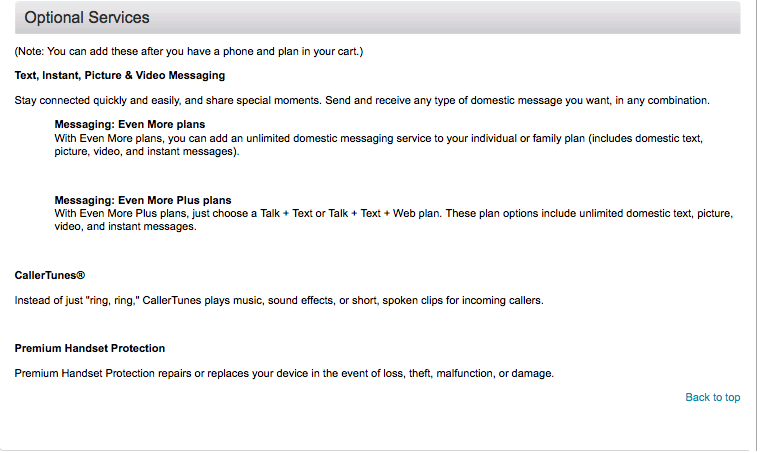 It seems like it would have pimped that feature on the Tmo page if it were. This phone is uglier than Whoopi Goldberg. Im sorry whoops, but it’s true. 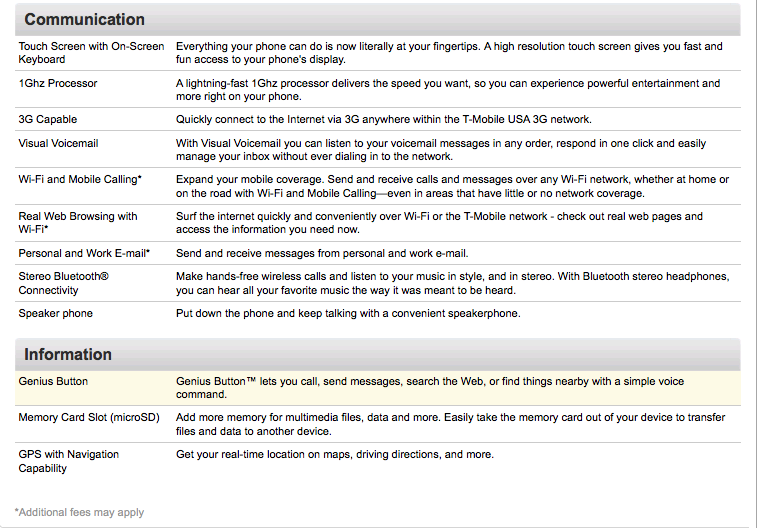 On the product description page, under the features listed is Wi-Fi and Mobile Calling!!! Will this phone have stock Android 2.2? When you click on the link, it takes you to the old mytouch slide…lol. Looks ugly but ill get it for the front facing camera. Not seeing it on nov 3rd im leaning more towards a release date like around black Friday. Wow the MTHD looks like $h!t. Probably the black one looks better but anyways i went to the Tmobile store and played with the G2 and although its an amazing phone the screen on the G2 is a big disappointment compared to the N1 and vibrant. The loose hinge is a no go for me, it feels fragile so im going to wait another month and see how it goes for other G2 users and see the official Specs and live shots of the Mytouch HD. I will be getting this phone…although the Vibrant is the best Android phone on the market, I will give this one a test drive. †On approved credit. $95 down payment, plus 3 monthly payments of $95, required. 0% APR. Taxes & fees additional. Available only at T-Mobile-owned retail stores; see store for details. This phone will be cheap…. Cheap how? Thats $400 on-contract… Dang man your credit must be really JACKED…. The wifi calling and FFC and other options built in to it makes up for the looks big time. Its funny how people need to complain about every phone. T-Mobile is finally listening to loyal customers and giving us what we want…..STOP B*tching SO MUCH! P.S. Other carriers beware! We need to give props to Tmo News big time, they’ve been on point with their game. The 1% that a rumor doesn’t come true everybody bounces on them. This site has definitely helped my T-Mobile experience a lot better. Really annoys me when a rumor from Tmonews turns out to be false (rare) yet everyone turns out in droves to slam this site for being inaccurate as well as nuggets like “this is why I don’t come to this site” and “[Insert site name here] is better because they’re always right” and countless other ridiculous comments. This phone has a flash,ffc,is HTC brand,and has android which is all I wanted what other things it lacks is nit-picking and that is annoying to me. Can’t wait to see some video previews! Goes back to this thread I created a while back…If you hate T-Mobile, go somewhere else. Your opinions are ok, but my goodness…give things a chance first. T-Mobile has been on the rise for some time now, and growing. They have GREAT service, and phones. Sooooooooo, Take a dump, or get off the lid. Is It Me Or Does Kind Of Look Like The Nexus One From Behind? im dumping my vibrant and not gonna look back, screw you samsung! worst phone ive ever owned! The Front looks good and the Back Looks ok, but it doesn’t mix well together.. I guess ima have to get the white one if the black one doesn’t match both sides. SO tempted in dumping my Vibrant for this. myTouch FINALLY is looking as a great option. I will definitely head out to the store when this is released as well as check reviews in order to decide keep my Vibrant or not. HSPA+, wifi calling, FFC make this phone top of the line. Thanks Tmonews for keeping us posted on everything. OMG I am totally getting this phone, as my Christmas present to myself LOL. It has everything that you need, Wifi Calling!! FFC is the best thing on here. Total comeback against the iPhone 4. T-Mobile, make sure that you advertise this heavily, and you will have new customers right and left. Good thing that I didn’t get the Vibrant. This phone is mah new dream phone! Gotta love the 768MB of RAM and the QSD8255 + Adreno 205! T-Mobile has the worst coverage and most of their customers and reps are just ghetto. Dude what a rude statement…. show the love. If you don’t like the phone or T-Mo, then why comment? I find their reps and CS way better than any other company. I’m about as far from “ghetto” as you can get, man. No. We T-Mobile customers are not ghetto, well at least I am not. And the coverage thing, I get pretty good coverage around where I am, Chicago, so I am not complaining about it. If you do like T-Mobile than why are you reading this blog? Thats not actually true i am a TMobile Customer for over 3 years and they are the best. John ur a fukkin idiot. how rude is it for u to say that most of the customers and reps are ghetto? do u even know what the word ghetto means? its not a personality trait, its a freakin living condition thats referred the the area of impoverished people. ur so stupid and insensitive. I just happen to be a t-mobile customer, and their coverage trumps that of sprints 4g network which has been out longer than t-mobiles HSPA network. and the 3g coverage is actually very good. why dont u think before u say something so that u dont make an azz of urself. ur prolly a racist prick n e way. dumbazz. u dont even know wtf ur talkin about, ur prolly a sprint att or verizon faggy fanboy. grow the fukk up loser. ur so lame. It looks like this phone is getting UMA calling, which is really great for those of us who live in the boonies! Is it just me or do the 3 dots on the left side look like metal contacts for a charging dock? 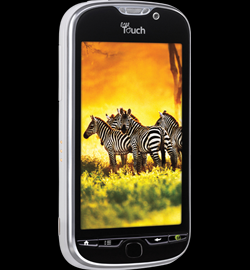 I’m soooo glad i didnt get the Vibrant or the G2, i still have my first gen mytouch as my daily phone. i can still do way more stuff on it simultaniously than my sister and brother in law’s iphone 4s :)…cant wait for this mytouch to come out..
and to think that i was going to get the original mytouch 3g. Good thing that i didn’t and that i waited. man is this phone gonna have froyo 2.2 like the g2? shoot hopefully it’ll have the same features like the desire hd and its special extra features for this model. i would consider buying this phone guarantee. practically the phone will satisfy my needs. who cares about the hard keyboard, on screen is good enough for me. i have my nexus one. soon will retire it for the mytouch. i wonder, is there going to be a g3 by next october???? remember guys, when the g series seems like a copyrighted brand and always try to spark the android world, but seems like big brother model mytouch seems to look better and come out right after the g series. just like the g1 when it first launched. the mytouch came out a few months after that. that’s weird. 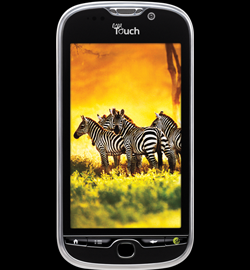 you ppl who wasted your money on the g2, isn’t worth buying it, should have waited for the mytouch. You can get the new TMOUSA HD2 WP7 MultiMedia Super ROM with the new Official 3.14 ROM (With New Apps, All New Drivers, No Freeze Ups Or Hiccups, Guaranteed)… The new WP7 MultiMedia Super ROM Version can be found here http://www.mobileunderground.info/showthread.php?t=704&page=1 .. Here is a YouTube Video of how the WP7 Multimedia Super ROM Version works by Ashiqiqbal http://www.youtube.com/watch?v=mVqALFqwjNM ….. This version of WP7 may work better than what Microsoft and T-Mobile USA are coming out with on Oct. 11, 2010, because you will still have the HTC Sense on board, plus you can install just about any Android build with this ROM …. what will 2.2 do for me? my g1 has 1.6, what are the pros to having 2.2? can anyone answer/help me? r u serious?? ?u have an android phone and dont even know its capabilities??? weird…just weird. google cupcake 1.6 vs froyo 2.2…then ull see! The link to tmoble myTouch is now gone, PLEASE HELP??! I what to see the full detailed specs PLEASE??? 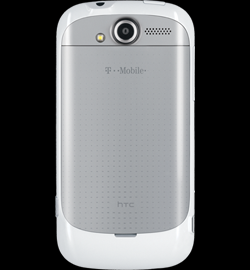 Just an fyi for all the tmo haters out there, i was at a bar with a group of friends the other night, and my buddy had an iphone and one had a verizon droid, while i had my bberry 9700. We did 4 side by side tests with you tube, needless to say, I was first loaded by at least 5 seconds and did not buffer one time, followed by att and last with its terrrrrribbllle quality of chop was verizon. And that was 3g. we have HSPA here as well, results dont lie!! T-Mobile has the best prices but their coverage is lacking.